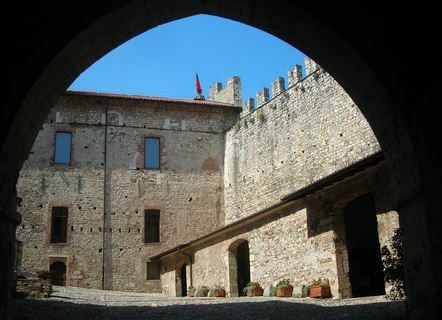 Vincigliata Castle (Castello di Vincigliata) is a medieval castle which stands on a rocky hill in Tuscany. 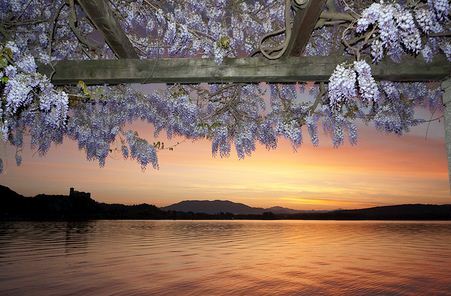 It was once the ancient stronghold of the Visdomini family, important Florentine nobility since the 11th-century. In the mid-nineteenth century the building, which had fallen into a ruinous state, was acquired by the Englishman John Temple-Leader and entirely reconstructed in the feudal style. He fell in love with it and decided to restore it to its former glory. 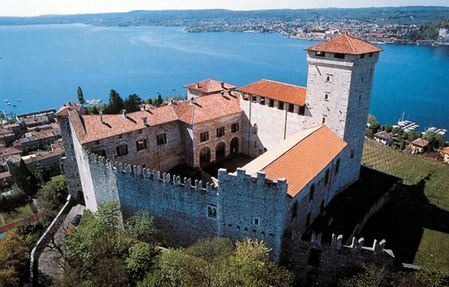 Over 15 years, it was reconstructed in the neo-gothic style from the ground up and became a romantic vision of a feudal fortress. He also created the Bosco di Vincigliata, planting cypresses in the rocky areas where nothing else would grow, with pines and all the various shrubs and bushes one finds in a typical central Italian woodland. The castle is not open to the public, it is private property and open only on request. A special Gala Dinner in a beautiful ancient Castle in the surroundings of Florence. 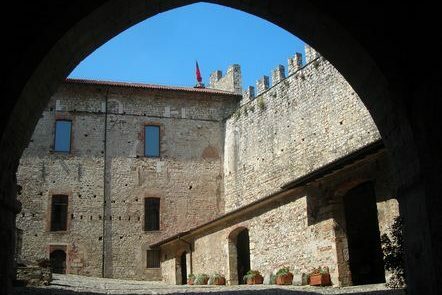 It is a fascinating experience strolling around the countryard, in the drawing-rooms furnished with its original furniture and the frescos and armoury with antique arms. It is one of the most romantic place to organize welcome dinners enjoying of the breathtaking landscape from the top terrace over Florence. The gala dinner starts with the welcoming of the knights showing their skills fighting with the swords. 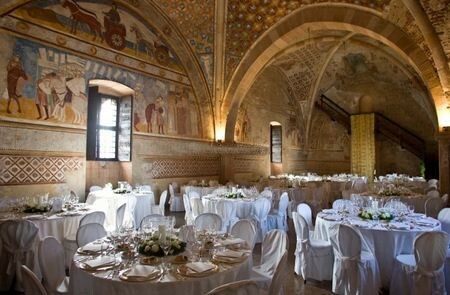 The medieval dinner will be served in one of the beautiful dinning room with the entire castle illuminated with the colors you may choose and ending with special fireworks on the Castle’s top for a fantastic gala dinner to remember your trip in Italy. Would you like to visit it? Just drop us a line!